The winter forecast calls for sledding and skating fun! This indoor rink is the on-campus home for the UConn Men’s and Women’s ice hockey teams. The rink is open for public skating sessions with $7 admission and skate rentals for $5. Be sure to bring cash or check, as credit and debit cards are not accepted here. Free parking is available in the lot outside the rink, which is located at 509 Jim Calhoun Way on the UConn Storrs campus. Their public skating schedule is available at uconnhuskies.com/facilities, but skaters should double-check for changes by calling 860-486-3808. Run by the West Haven Board of Education, this indoor rink is home to the West Haven High School Blue Devils girls and boys hockey team. Public skate sessions are every Sunday from 1:30 – 3 p.m., with some additional sessions listed in their calendar online. Admission is $5, and skates can be rented for an additional $5. Visit bennettrink.com or call 203-931-6890 for more information. Because catering to every level of skater, from beginners to pros, isn’t enough, this arena also offers a pro shop, concession, wellness programs, nutrition consulting, competitive skating, synchronized skating, youth hockey and Theater On Ice. Friday Night Laser Skate is a fun way to get some exercise, wind down and kick off the weekend. Birthday parties and group rates are available. Visit rosegardenicearena.com for the updated public skate schedule. Public skate is $7 for those 13-64; and $4 for children, seniors and those with military ID. Skate rentals are $5 and skate aids (a fun seal or a walker bar) are $5. The rink is located at 641 New London Turnpike, Norwich. Experience a little winter magic in Rhode Island at this wonderful outdoor skating rink. 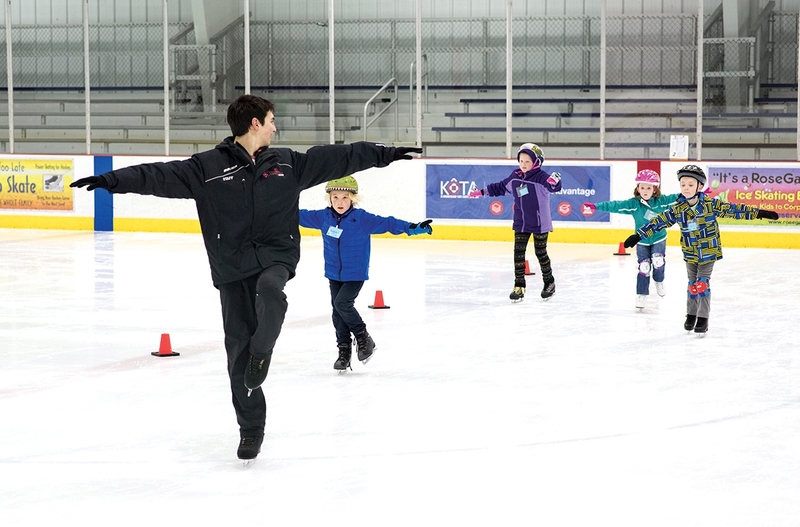 The skate fee at Washington Trust is $8 for adults or $5 for children and seniors, with discounts available for YMCA members. Skate rentals are $4, and food and hot beverages are available at the concession stands. Restrooms are located in the north side of rental building and are surrounded rubber mats, making them accessible without having to remove your skates. The rink is located at 61 Main Street in Westerly (near the Westerly/Pawcatuck line), with parking available in the lot on Commerce Street. Public skate is 7 days a week but times vary, so check their schedule online at oceancommunityymca.org.